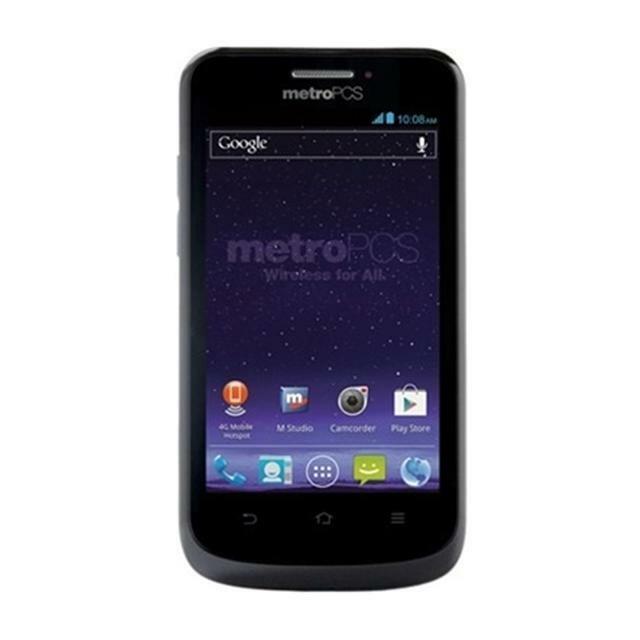 MetroPCS has added another LTE phone to its line-up with the ZTE Avid 4G. The new ZTE Avid 4G isn't going to set anyone's hearts aflutter with its specs, but at $149 for a no-contract phone, it isn't too shabby either. The Avid is running Ice Cream Sandwich with a 1.2GHz dual-core processor powering it. The internal memory is rather sparse at 2.3GB, but it can support microSD and microSDHC up to 32GB, so you shouldn't have a problem taking all the media with you want. If you're tired of being tied down to an annual contract, this looks to be a fairly nice alternative that is worth your attention. DALLAS (December 20, 2012) – MetroPCS Communications, Inc. (NYSE: PCS), along with ZTE Corporation (H share stock code: 0763.HK / A share stock code: 000063.SZ) ("ZTE"), a publicly-listed global provider of telecommunications equipment and network solutions, today introduced its second 4GLTE Android 4.0-powered smartphone priced at $149, the ZTE Avid™ 4G. With no annual contract, tax and regulatory fee-inclusive service plans and feature-rich smartphones, MetroPCS continues to deliver the most value to its customers throughout the holiday season and into 2013. The Avid 4G is available with any of MetroPCS' standard 4GLTE service plans which range from $40 – $70 per month, and for a limited time with promotional plans including 4GLTE for $30 and unlimited 4GLTE for $55. "The Avid 4G offers consumers a feature-rich smartphone at an excellent price," said Lixin Cheng, CEO of ZTE USA. "ZTE is committed to helping people connect and share in meaningful ways, and the Avid 4G is a great example of that mission." The Avid 4G features 4GLTE connectivity, a 1.2 GHz dual-core processor, a crystal-clear 4" touchscreen and is powered by Android 4.0 (Ice Cream Sandwich), allowing consumers to get the most out of their smartphone and applications from Google Play. Adding to that are the 5 megapixel rear-facing camera and VGA front-facing camera, which make it easy to video chat, capture images and quickly share with friends and family. The Avid 4G is also the latest MetroPCS 4GLTE smartphone to support joyn™ by MetroPCS, which provides consumers with a unified and intuitive way to share their content with enriched services like integrated instant messaging or chat, WiFi and video calling. The official joyn app can be downloaded via Google Play and the @metro App Store™. The Avid 4G also supports MetroPCS' 4GLTE Mobile Hotspot service for an additional monthly charge. The Avid 4G is available today at local MetroPCS stores or online at www.metropcs.com for $149 plus tax.